Submitted by Alexander Briones on Sep. 12, 2018.. Founded in 1945, Sennheiser have developed and produced microphones and headphones for many decades now, they have also successfully branched into the wireless market, producing top rated products like the EW 300, which had the highest Gearank score on our recommended wireless in ear montior list when it was still widely available. This package contains a Sennheiser SR 300 Transmitter with 5-band EQ and two EK 300 receiver packs with adaptive-diversity feature, and ear-canal phones with different ear-fitting pads. Other features include an ethernet port for remote monitoring and control of the wireless system, as well as pass-through outputs for splitting of the input signal to other devices. The market response to the Sennheiser EW 300 is overwhelmingly positive. The most common remark points to its reliability and solid construction, as attested to by the many musicians and sound engineers that were very pleased with the results they got. A good number of comments come from musicians and engineers who use the unit extensively for church service, but it's also been reported to work well in small pubs and even big stages. While the ear buds come in three different sizes for personalized fit, there are a few who found the quality of the cable to be flimsy, so extra care is recommended when positioning and moving around. 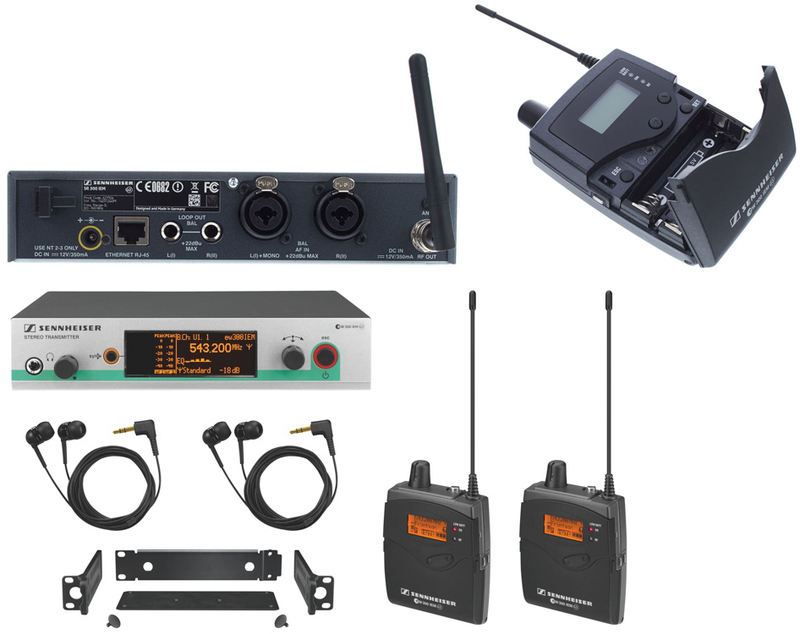 If you are looking for an easy to implement and reliable wireless IEM system and you want to heed the advice of the majority, then go with the Sennheiser EW 300. Unfortunately it's very hard to find in stores these days so you might like to look at the alternatives we recommend in our guide to The Best In Ear Monitors for Musicians.